Once again, I am delighted to share a Golden Chapter Review. 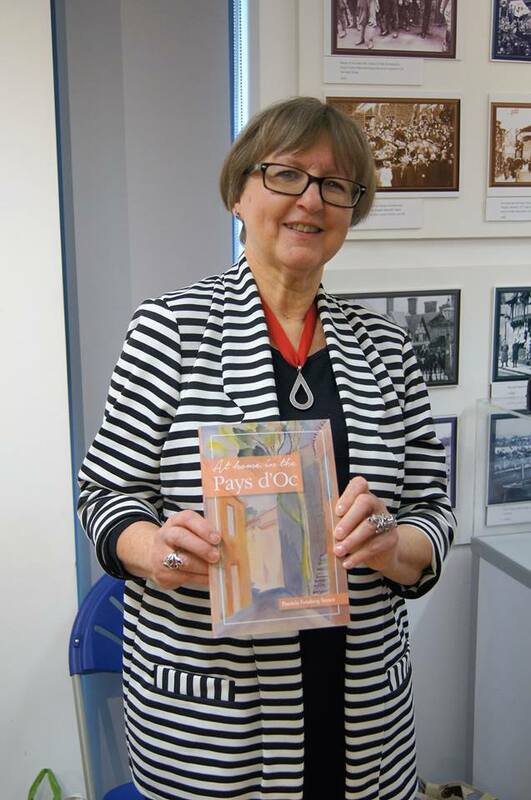 When Jessie Cahalin from Books in my Handbag invited me to visit her Handbag Gallery and indulge my love of books, she told me that “selecting books is a voyage of discovery for intrepid readers.” You can read more about Golden Chapter Reviews here. We wanted to shine the spotlight on books and encourage readers to not only select and read a book from the Handbag Gallery, but to also discuss and comment about the book with us. It’s a privilege for me to collaborate with Jessie on this First Chapter Review feature. She is a compelling writer and a positive voice on social media as she encourages authors, readers, and all book lovers. Thanks also to our talented authors for participating! 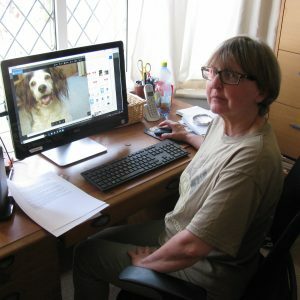 Jessie from Wales features the Golden Chapter reviews on her blog. 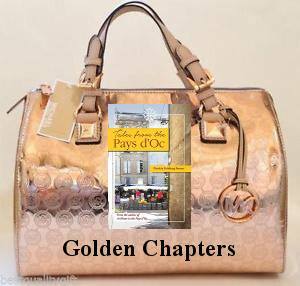 Jessie sent the Golden Handbag across the pond to me in Tropical Ohio, USA, and I am delighted to share the latest Golden Chapter Review here. Jessie will post this review on her blog, too! I am a lifelong resident of what I jokingly refer to as “tropical Ohio”, a border state between the east and mid-west states of the US. I know about covered bridges and cornfields, county fairs and factories. I have travelled around the US and to a few places around the world. Still, when I think of Europe, I tend to categorize it as a land of fairy tales and famous monuments. But thanks to books and authors, I have become better acquainted with the heartbeat of different areas of the countries “across the pond”. “Merci” to the many talented writers who have introduced me to Provence, Normandy, Auvergne and now…Occitanie and Languedoc. Patricia Feinberg Stoner’s latest book, a collection of short stories, is the latest gold I have found in my Golden Handbag. Actually, her book is two treasures- a treasure for readers and a treasure for writers. I read the first short story in the book and it is the establishing shot for the entire collection. The chapter begins with a “wide shot” as the author shows us a view of St. Remy des Cevenes as it nestles beneath the mountains and bakes under the summer sun of the Languedoc. From there, the writer’s “camera” moves a bit closer to show usLa rue du quatorze juillet, the home of the Saturday market. The author immerses us in the market as we slowly walk up the steep street. We pass stalls of fruits and vegetables, racks of gaudy clothing, and friperie, then olives and goat cheese until we arrive at Le Café d l’Ane. As we settle on the shady terrace of the cafe, we watch as members of the Saturday Club gather- the sophisticates of St. Remy and their country cousins. Friends, couples, expats, even a dog named Useless, shout friendly greetings, and share jokes and gibes as they sit near us. The last to arrive is Mirjam who is breathless with excitement. “You’ll never believe what I’ve just seen…” she begins. And with that, we have arrived and become welcomed participants, eager for the next story in this gem of a book. This first short story is a gift for readers, because it contains all the elements we love- an interesting place that may be new to some of us, charming descriptions, vibrant characters, plus the promise of many more fascinating tales. And for writers the treasure is even more valuable because the author has done something rather unusual. What does this do for us? It puts us, the readers, in the story, just as if we were another member of the Saturday Club. First or third person POV is more typical, but as you read this story you will see that using the second person is quite engaging. That, and the author’s ability to choose powerful and descriptive words slows the pace for us, so we feel as if we truly are walking up the street and relaxing at the cafe. Well done! Tres bien fait! Have you read this book? Please tell us how you liked it in the comments and leave a link to your review if you want. Whether or not you have read it, I have some questions for you. Again, please share your thoughts with us in the comments. We love to discuss books. Have you read another story written in the second person? Have you ever written something in the second person? There is a delightful cast of characters in this story- do you have a favorite? Are you a traveler, an armchair traveler- or both? Happy Reading and Stay Golden! If you’ve read and reviewed the book, please share a link to your review in the comments. Thanks! I grew up thinking I was going to follow in my mother’s footsteps and go on the stage, but there was one huge obstacle to this plan: I had zero talent for acting. The only thing I could do was write, so after a spell on the university newspaper it seemed a logical step to go into journalism. I’ve been a reporter (a terrible one), a feature writer, an advertising copywriter and a publicist to earn my pennies, and a writer of short stories and comic verse for fun. In the 80s I worked in an advertising agency alongside the now-renowned Anthony Horowitz. We were massively under-employed: he whiled away the hours in writing and submitting screenplays, I scribbled comic verses about cats, which led to my first collection, Paw Prints in the Butter. In 2003 my husband and I became accidental expatriates in France when we were adopted by a small brown and white dog and spent four years living in a village in the Languedoc. 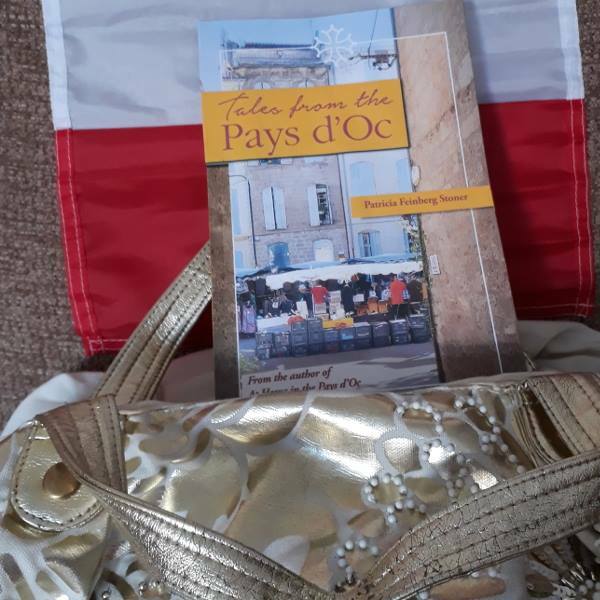 A series of articles for French Property News morphed into my second book, At Home in the Pays d’Oc, which won the One Stop Fiction Five-Star Book Award. Let’s Talk About this Golden Book! We value your comments and thoughts! I can’t remember a time when I have read a book written in the second person. Interesting. I can imagine it does slow the reading a bit and allows the reader to be more a part of the story. Interesting. Now I am going to be thinking about that all day! Looks like another amazing author to check out. Thanks! Thank you so much for for “getting” my reaction to the use of the second person! I don’t know if each story is written that way but the first chapter definitely invites us to join in! I love the read books that transport me to far away places. As I get older I realize this is the best way to travel! Less money and so much less hassle! This sounds like a delightlful collection of stories, Jena. Thanks, Jena for introducing me to yet another author. And writing in the second person is new to me – or at least I can’t remember another book written in thsomeone. Off to Amazon to see if they have this book. Methinks it might well make a Christmas present for someone.